Welcome in our family hotel which is situated in a beautiful and quiet area of the Czecho-Moravian Highlands (Vysočina Region). Čertův kámen (Devil's stone) family hotel is situated in a small village near the town of Ždár nad Sázavou. Our guest house is suitable for you whether you are on your own, bringing your family or travelling with a group. In the hotel you find a nice, nonsmoking common room. In winter you may sit near romantic fireplace. In summer we offer you a garden party. In Světnov Beranov on the field they wanted to build a church to have to go to the Monastery. They are forgotten, however, that the church must build a prayerful people. And since they did not say when the work went: "The Lord bless Rač work," to blow them vanished everything lined up for the day. Nobody they could not cope. She walked down the whole village and a day with a lot of built. The next morning, however, as he sweeps. Everything devil took. Yes, the devil came at night and took away the masonry in the air. He is always released over Tisuvka. 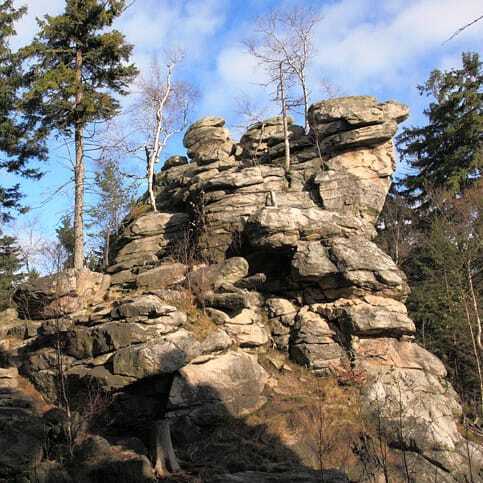 Even today there stands a boulder in the midst roštípen. The two halves are connected by wooden bridge. Boulder called the Devil's stone bridge and is really čerotvský. Who would had fallen from him, he impales the treetops or slips into a hole from which it did not come out. Also, there are known as the tall doors at the church, but petrified. 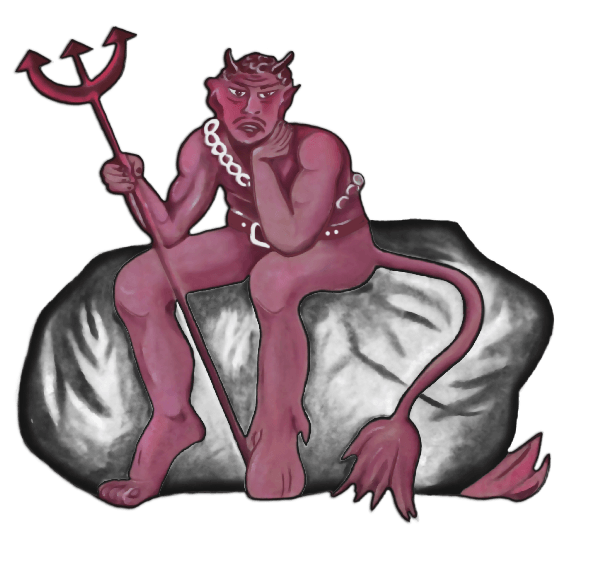 Around the vast Balan is a dense forest and plnon large blue-gray boulders, which he said the devil in flight Tisuvka. At the Devil badly carved stone steps lead to the railing. The view from here is breathtaking. Světnovští church never nedostavěli. They must be on the word of God to the Monastery. The Vysočina region offers you many opportunities for enjoying yourself during each of the four seasons. You can go for a little walk through the wood or enjoy a charm of snowdrifts in winter. There is a tennis court and a volleyball field next to the family hotel. In summer you may swim in a pond called Pstružák that is in 10-minute walk from the hotel. 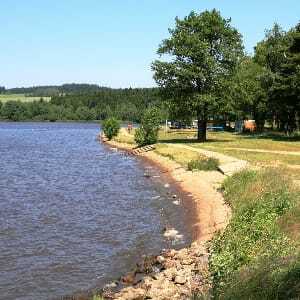 The pond Velké Dářko with its area of 206 ha is excellent for windsurfing as well as yachting. 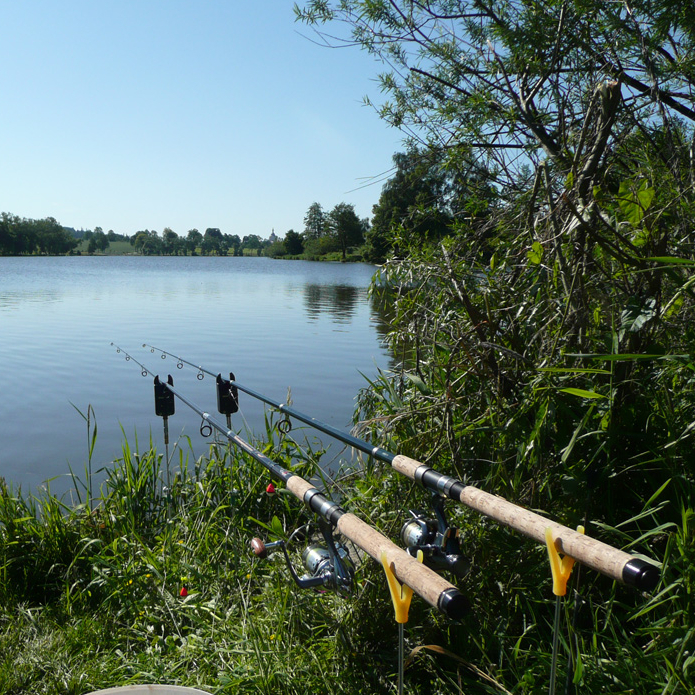 The ponds in the surroundings of our hotel are suitable for fishing. Cycling or biking has become very popular in summer in several past years while cross-country and downhill skiing have been a favourite sport in winter for very long time..
the town situated on the Sázava river with the original Renaissance town Hall, church of St. Prokop, the castle - a large collection of many buildings of the former Cistercian monastry, a Book museum. The pilgrimage church of St. Jan of Nepomuk on Zelená Hora was designed by Jan Blažej Santini in the 18th century. 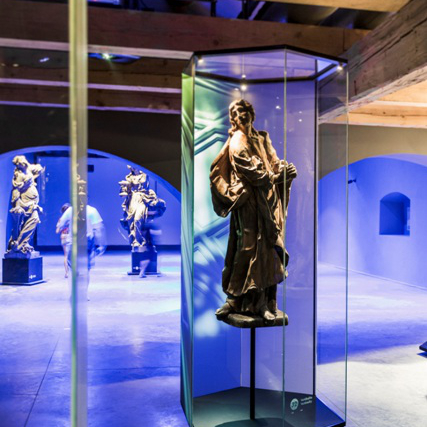 In 1994, tis work of high Baroque was added on the UNESCO list of world cultural heritage. Come with us on a path that passed the site of a former Cistercian monastery and the current lock over the past nearly eight centuries. 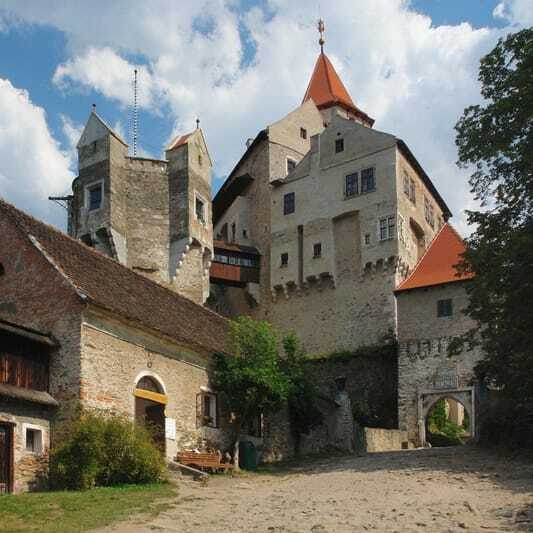 this monumental castle is one of the best preserved Gothic castles in the middle Europe. It is also very attractive for film makers. 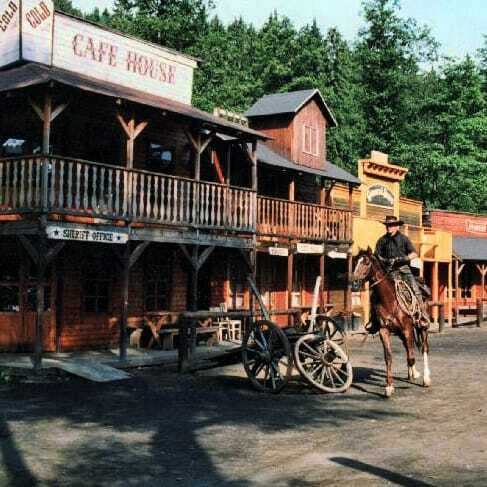 a western village - in this large amusement park situated in the beautiful valley of the Bobruvka River, you find yourself in America as it is used to look at the end of last century. The largest pond of the highlands Velké Dářko is located in woodland Žďárské vrchy. Sometimes he is called "Sea of the Highlands." Devět skal (836 meters) is the highest peak of Žďárské vrchy and the second highest peak in the area of the highlands (after Javořice). 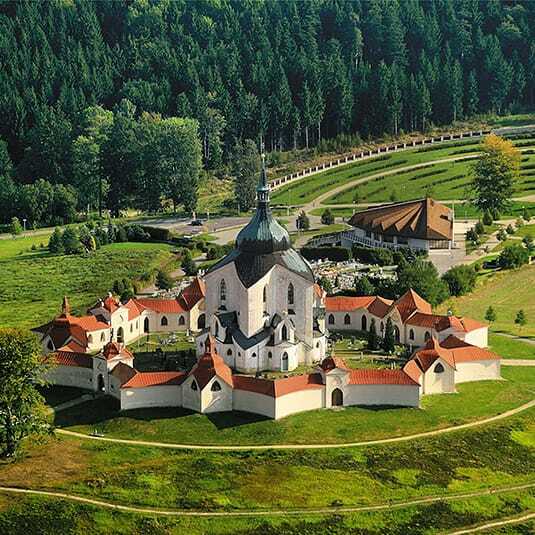 It is located 3 km southwest village and 4.5 km south of the town Svratka. Strž water tank is located on Stržském creek about 5 km north of Zdar. It was built between 1952-1954 by increasing the original pond dam in order to improve the flow, recreation and protection against high water. We will arrange a fishing license. It is a water dam on the upper reaches of the Sázava built in 1962 in the original pond dam profile Pilský of Zdar. The area has a grass beach, which is regularly maintained. There are outdoor areas and toilets. The bottom of the beach is sandy, gradually sloping. 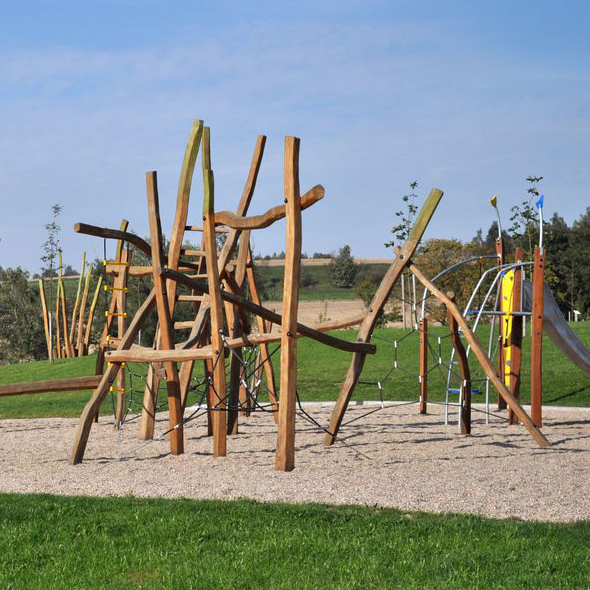 On the other side are in operation, two camping sites with well-equipped facilities. 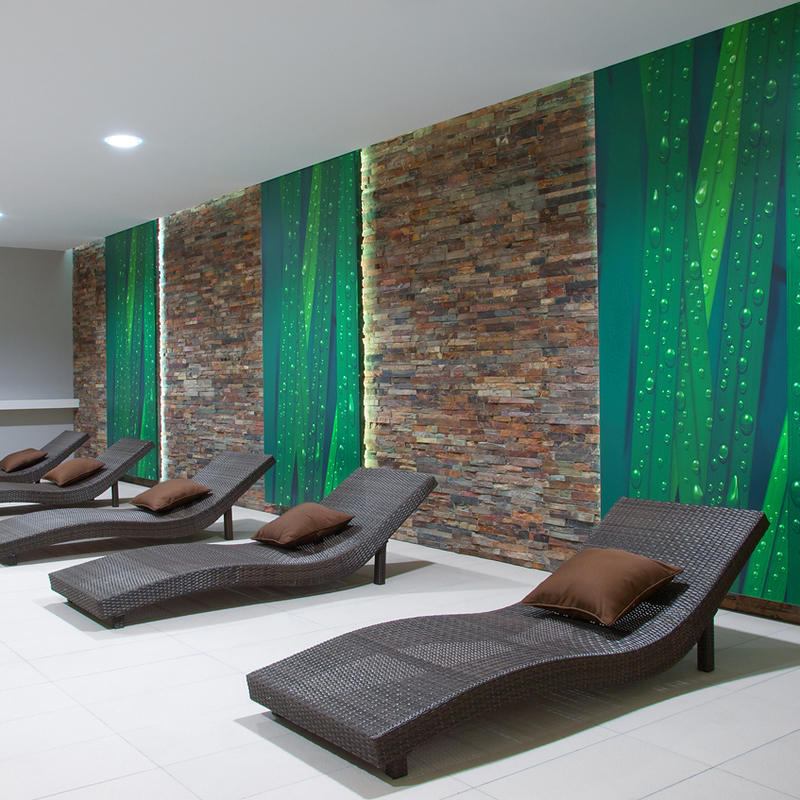 Relaxation Centre in Zdar offers a swimming pool 25 meters long, 3 children's pools with water mushroom and water slide, a training pool, relaxing fun pool with current channel, climbing wall, massage beds, water slide and whirlpool pool. Additionally, visitors can use wellness with three saunas, a salt cave and snacks. 6 double rooms and 1 double room with an extra beds available. All rooms with a private bath and a toilet. You may offer breakfast and for better groups you may offer half-board in season.